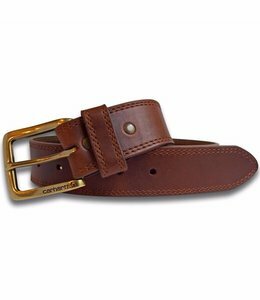 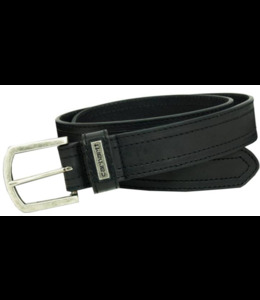 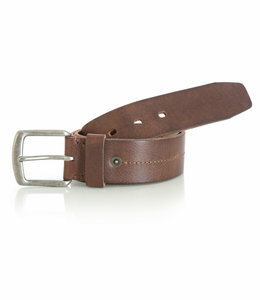 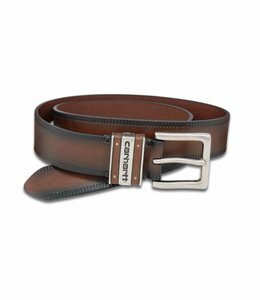 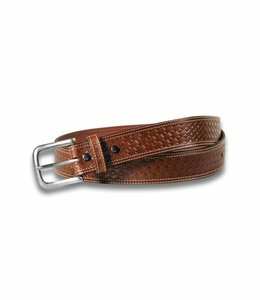 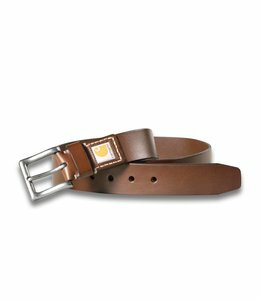 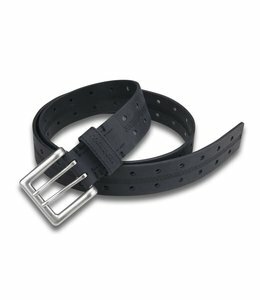 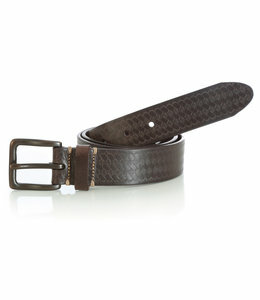 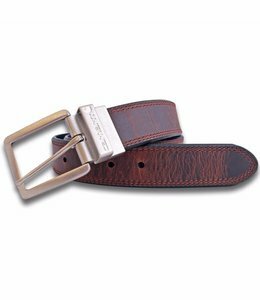 Men's leather belt with stretch at the buckle. 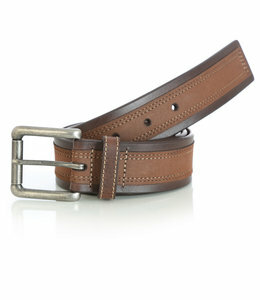 Men's leather belt with a double-pronged buckle. 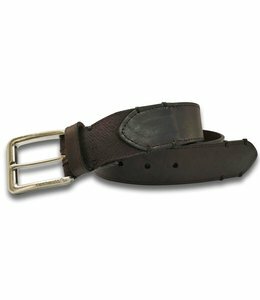 Heavy oil tanned leather strap with center stitch and rivet details.